Belief in sports is something that cannot be quantified, but when it gets to its highest levels, anything can be accomplished. After a three-week break early in the season, the No. 18 Cal men’s golf team had an opportunity to regroup and reflect on what was going right and what was going wrong. While the team’s finishes in its first two tournaments weren’t as good as expected, the Bears knew that they were starting to turn the corner. The players knew it was only a matter of time before they hit their stride. Flash forward to this week’s win in the Tavistock Collegiate, and the Bears have now rattled off their second victory in as many tries. 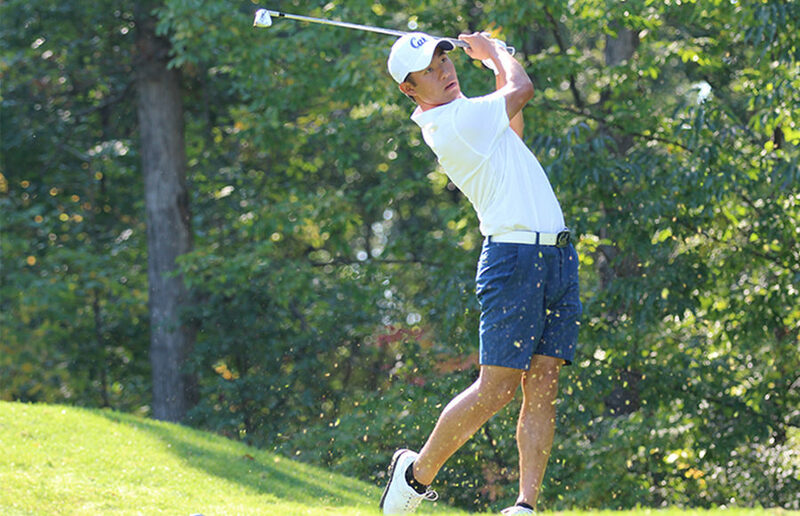 With junior Collin Morikawa leading the charge, the Bears erased a nine-stroke deficit entering the last day of the competition to win the tournament at 858 (-6), one shot better than No. 10 Florida and Illinois. To cap of the fantastic effort, Morikawa took home second place on the individual leaderboard by shooting 207 (-9). After the first round, the Bears sat in fourth place, shooting a 287 (-1), eight shots off the initial pace set by Illinois. While this score was a relatively positive start, the team was confident in its ability to play two more rounds of consistent golf. In the second round, when the golf conditions got slightly more difficult, Cal turned in another consistent performance shooting another 287 (-1). With No. 7 Auburn and No. 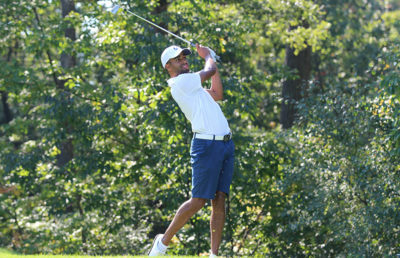 11 Vanderbilt unable to keep pace, the Bears were in third place after the second day. But entering this third round, the Bears believed that they could charge up the leaderboard and put scoreboard pressure on Illinois and Florida. The team shot 284 (-4), while both the Gators and Fighting Illini wilted under the pressure. In the end, the Bears were able to do just enough to secure their second victory of the season. 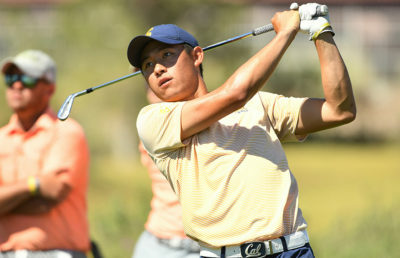 For the Cal men’s golf team, one thing clear after the past two tournaments is that this is not a one-man show anymore. While Morikawa remains the best and most consistent player on the team, other players have started stepping up and playing significant roles, thus enabling the team to compete in tournaments as prestigious as this one. Notably, redshirt junior K.K. Limbhasut has embraced his role as a fellow leader on the team. After winning his first collegiate tournament a week and a half ago, the junior from Thailand turned in another top-20 performance finishing at 215 (-1). Freshman Kaiwen Liu and redshirt junior Sebastian Crampton also contributed in significant ways, shooting 220 (+4) and 222 (+6), respectively. Overall, things are looking especially bright for the Cal men’s golf team. With back-to-back wins, the team has the confidence and swagger that it had a few years ago, when it was one of the most feared teams in the country. For now, the Bears will cherish their victory, but in due time, Chun will look to see where his team can continue to improve ahead of its long and arduous schedule.